Loving my "Bianca" bag by Alles Bags! I swear it's the perfect bag for models and students. 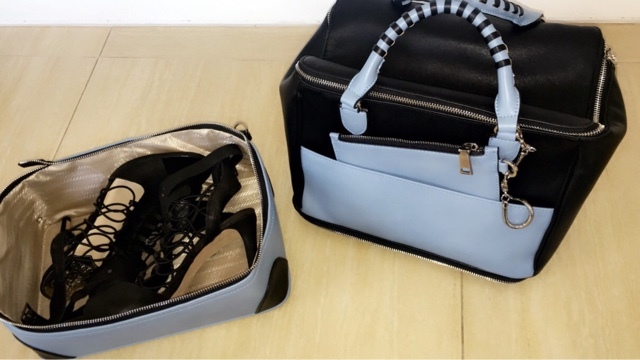 It's so versatile, it can be worn as a handbag or backpack and it even fits shoes!! Get yours by clicking here and use code "Maytee" at checkout for 20% OFF. 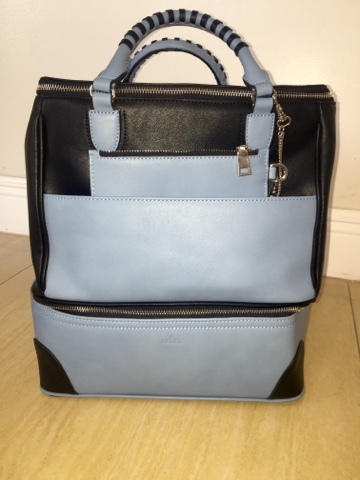 Headed to castings using "Bianca" in Skyblue Backpack style, straps are detachable. The bottom fits your shoes and it's also detachable. This bag also comes in various colors. Visit AllesBags.com to see more.